Assassin’s Creed has burned us before. 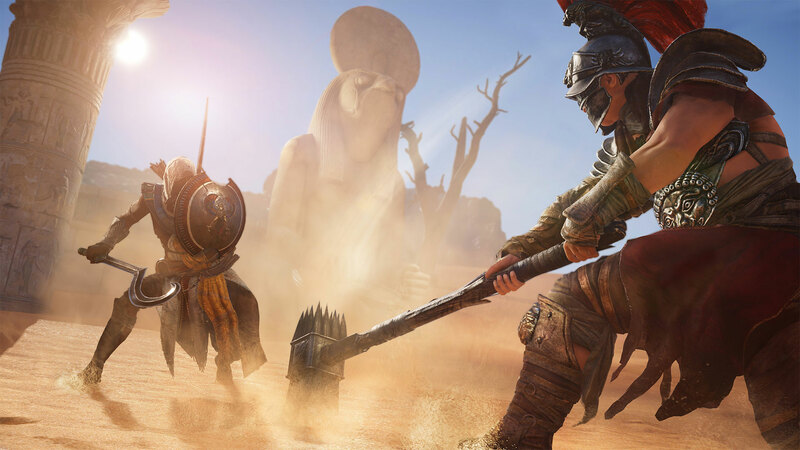 After releasing games which have been either technically wonky or just tedious to play, Ubisoft made the wise decision of taking Assassin’s Creed off the 2016 calendar, and instead refining the game to bring the series back revitalised, and after playing a little bit of Assassin’s Creed: Origins, they’ve definitely made some moves in the right direction, at least from what I’ve been able to tell from my EGX 2017 hands-on session. 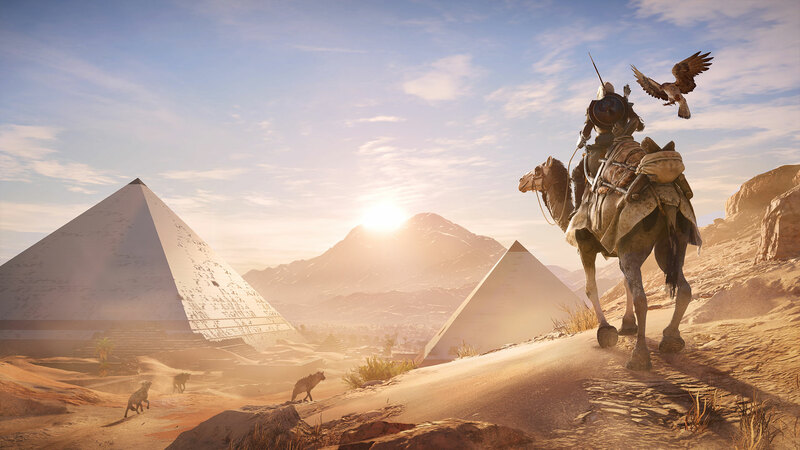 Riding a horse along the bank of the Nile is exactly the kind of experience I first played Assassin’s Creed for; it wasn’t just a stabby-explorey action game, but a gateway into a place and time far removed from my own. The harsh sun of North Africa refracted off the Nile, desert sands and worn buildings surround the area, and Egyptians work hard on the crops they’ve irrigated the Nile for. Elsewhere, our new assassin is dealing with an irate priest who has decided to beat a slave boy for losing his gold statues – of course, being the fine soul we are, we hastily offer to retrieve them from the bottom of the river. We rush over to a nearby dock, jump on a canoe and start sailing into the center before diving down and rescuing one submerged statue. The other had been found by a nearby ship – using my eagle-partner I spy the ship, climb up the side and make off with it before anyone manages to spot me. Jumping back in my canoe, I sail back to save the boy, but not before witnessing a bull attempt to swim the length of the Nile. I’m honestly not sure that one was supposed to happen. I saved the slave boy from his mistake, though I didn’t rescue him from his fate. Such is life in ancient Egypt. Afterwards, I meet with an informant whom I partner with in order to rescue a man from a nearby building – this, of course, being the typical Assassin’s Creed fare, where I rush in with my swords swinging and everything resolves itself shortly after. Nothing I did in the Assassin’s Creed: Origins demo was particularly fresh for the series, honestly, but the environments were wonderful. Or, would’ve been wonderful. The fact is, my entire experience was plagued by a single, constant issue; low framerate. I actually tried the PC version under the impression I could witness up-to 60FPS, but instead I was plagued by what was below 30FPS, constantly. Constant stutter hampered my experience, ruining both gameplay and visual fidelity. 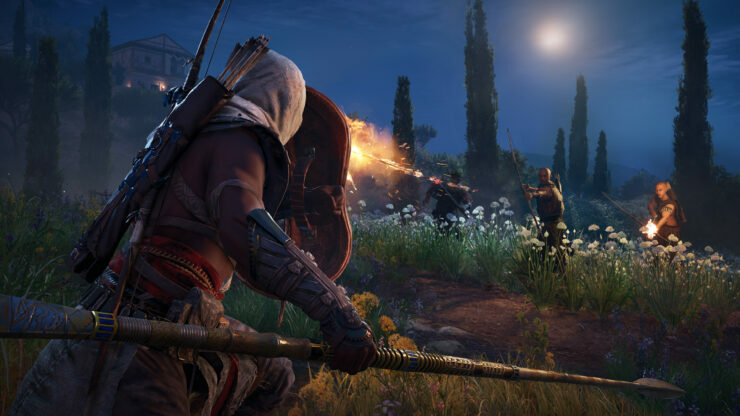 The issue here, on the PC version, truly is on par with early Assassin’s Creed: Unity, a game infamous for poor performance on launch – though it should be said, gameplay I witnessed on the Xbox One X version of the game had no such issues from what I could see. Assassin’s Creed: Origins looks promising enough to get me back into the series, though Ubisoft would do well to avoid releasing a poor-performing product at launch on PC. We’ve already seen that happening with Assassin’s Creed Unity and it wasn’t a pleasant sight. The game is out on October 27th for PC, PlayStation 4 and Xbox One.